LIM kinase inhibitors disrupt mitotic microtubule organization and impair tumor cell proliferation. See Mardilovich et al. Glucocorticoid-induced leucine zipper (GILZ) in immuno suppression: master regulator or bystander? 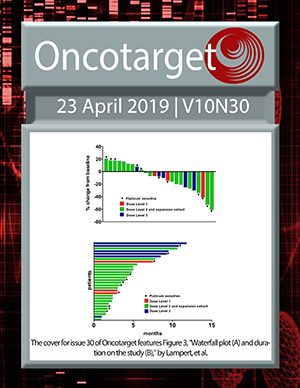 Targeted cancer therapy with ribosome biogenesis inhibitors: a real possibility? Prognostic impact of mismatch repair genes germline defects in colorectal cancer patients: are all mutations equal?